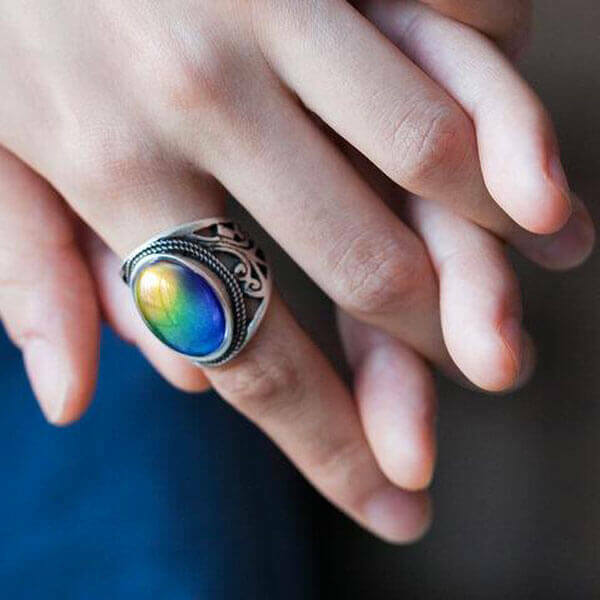 Open your heart and style up your outfit with our amazing New age Mood Ring! 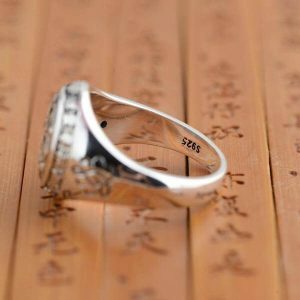 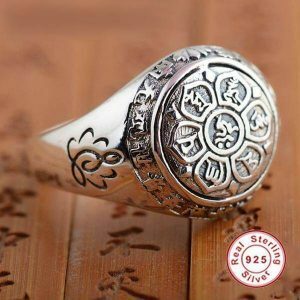 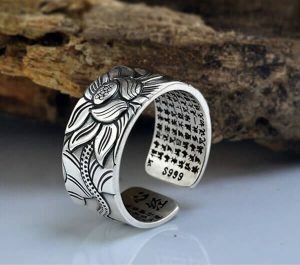 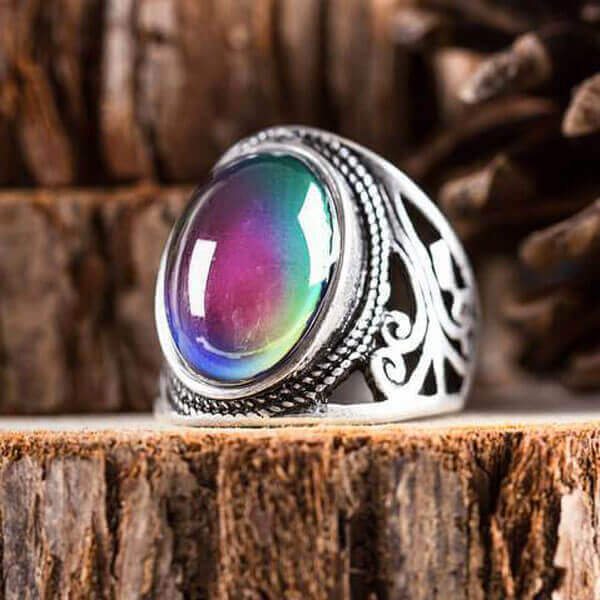 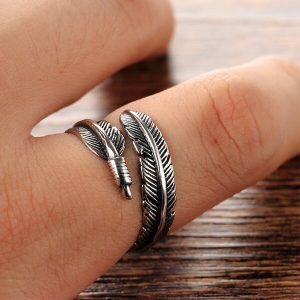 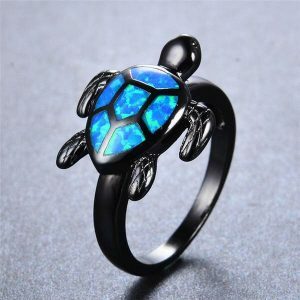 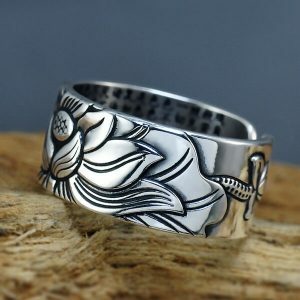 This is a unique and magical ring, carved in high-quality materials and are specially designed to fit with today’s fashion trends while embracing vintage feel. 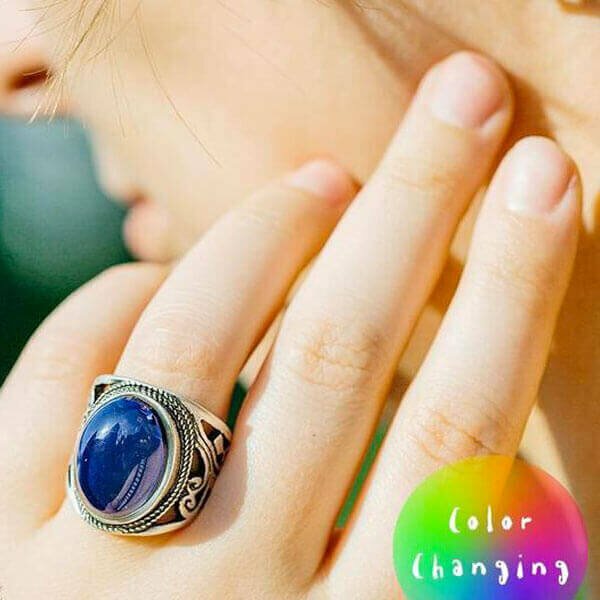 Antique silver plated alloy and set with a special glass that changes colors by your current mood. 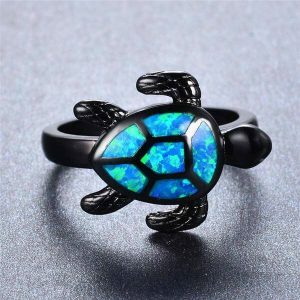 The is a statement piece about confidence, style, and technology that shows an amazing play of colors in green, turquoise, blue, purple, yellow, brown, black and many undertones of these colors. 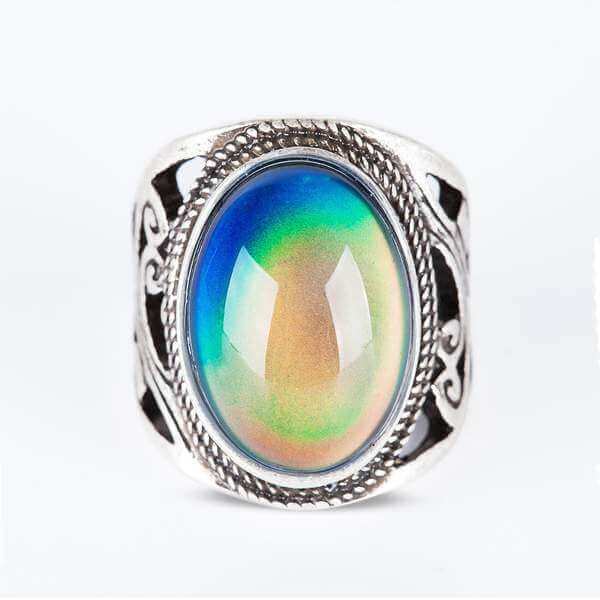 Mood Rings were a cultural phenomenon back in the 1970s. 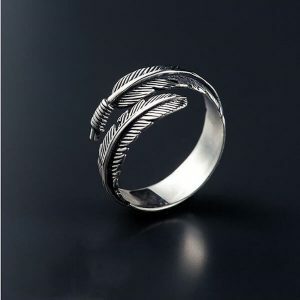 and they are now making a comeback with more elegant and unique styles. 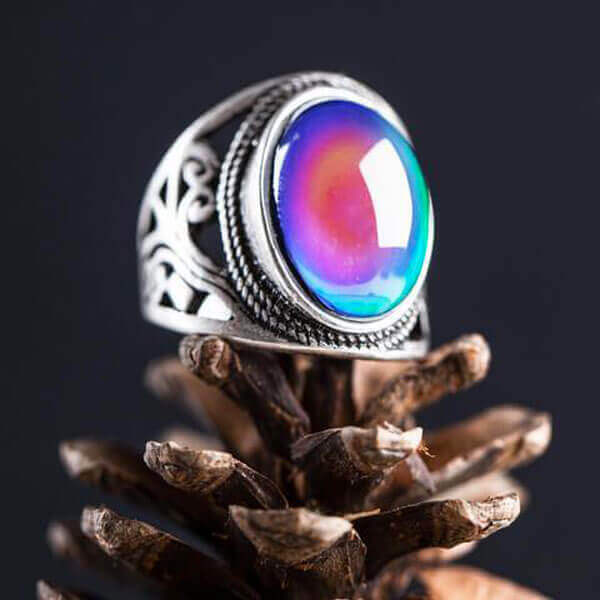 Have it as an eye-catching ring for yourself, or as an original gift for someone special. 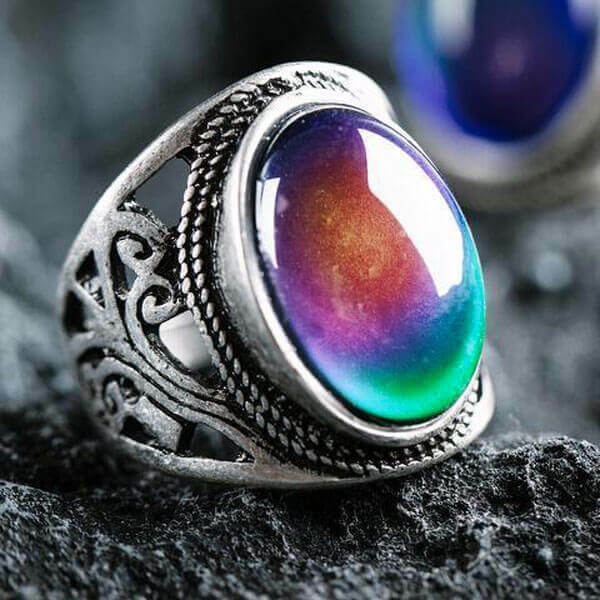 The special liquid crystals make colors changing, they react to temperature, like in LCD displays. 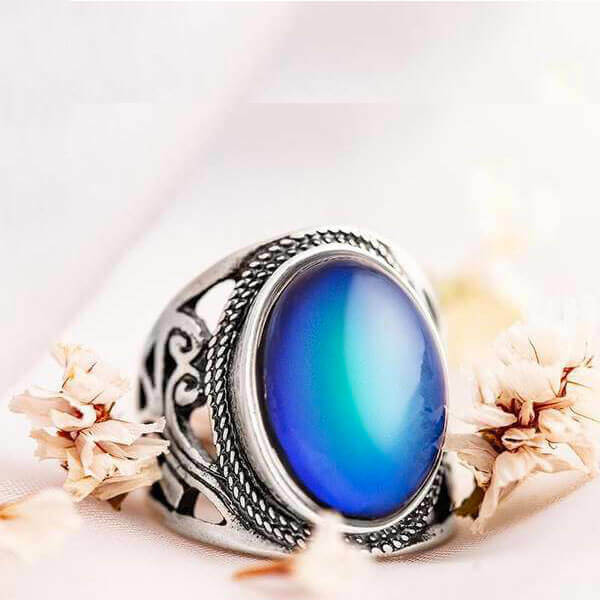 The human mood is related to body temperature when you think about the moods represented by the colors, you’ll observe the association between your body’s surface temperature and the color of the liquid crystal.